﻿ Vitamin Therapy Might be the Answer! Vitamin Therapy Might be the Answer. Taking a daily dose of over-the-counter vitamins is a great way to give your body nutrients it might be missing out on — but if you’re looking for a more dramatic change in health, vitamin therapy might give your body the boost it really needs. Given intravenously under medical supervision, IV nutrient vitamin therapy is the use of a variety of substances including vitamins, minerals, amino acids and other nutritional compounds, with the goal of ameliorating illness and promoting health. It has been found useful in improving symptoms associated with asthma, allergies, migraine headaches, depression, fibromyalgia and chronic fatigue syndrome. IV nutrient vitamin therapy is not a new practice. It began in 1968 with Dr. Stanley Dudrick at the University of Pennsylvania. Dr. John Myers, a Baltimore physician, also pioneered IV nutrient vitamin therapy back in the ’60s. The “Myers’ cocktail” — magnesium, calcium, various B vitamins and vitamin C — has become a standard. Over the last 20 years, the field of nutritional IV therapy has been growing in popularity and, due to improved compounding techniques, the solutions have become much more varied and potent. IV nutrient therapies have been tailor-made to meet the needs of the patient, and include antioxidant therapies, allergy therapies, brain health and heart health therapies, anti-aging and detoxification therapies and many more. IV nutrient therapy is also beneficial pre- and post-surgery and can be useful for an extended period of time in critically ill and comatose patients. It has been employed in sports and athletics to enhance performance and improve recovery. 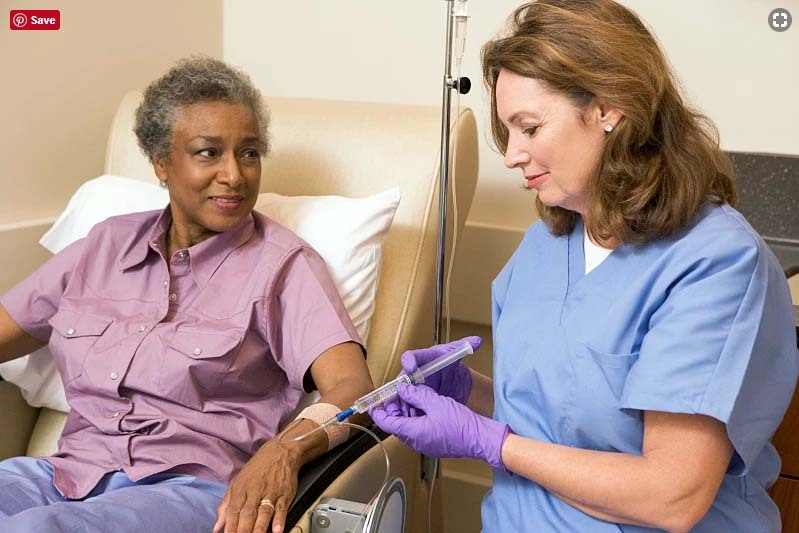 Although IV nutrient therapy is very safe, no medical intervention — even with vitamins and minerals — is completely without risk. But compared to pharmacologic agents, the safety profile of nutrient therapy is much greater. The common side effects are generally minor and may include discomfort at the needle insertion site, bruising, a sensation of cold or swelling in the affected limb where the IV was inserted, inflammation in the vein used, low blood sugar, or falsely elevated blood sugar levels on blood glucose testing. IV nutrient therapy has many benefits but for the patient to experience the best outcome he or she must include a healthy diet, get sufficient restorative sleep along with regular moderate exercise. One should also consider using high quality nutraceuticals to maintain their gains from nutrient therapy. Other health interventions that are very beneficial include intermittent fasting, mindfulness meditation and yoga. It would also be beneficial to consider having different lab evaluations performed to help monitor improvement in health parameters including blood and urine chemistry, micronutrient analysis and food allergy or sensitivity testing. No one health care intervention can solve all our needs. We should incorporate a variety of healthy habits, practices and interventions including drug therapy as necessary and work closely with a knowledgeable and trustworthy medical practitioner. If you are interested in nutrient therapy, consult with a specialist physician. Fiaz Jaleel, M.D., with Personalized Medicine Consultants in Jacksonville, is an expert on rehabilitation, pain management and anti-aging techniques. Personalized Medicine Consultants’ mission is to promote longevity and enhance healthier living by providing tools and strategies to prevent age related disorders that help improve metabolic and psychosocial function. Call 904-744-7474 today to set up an appointment. Personalized Medicine Consultants' mission is to promote longevity and enhance healthier living by providing tools and strategies to prevent age related disorders that help improve metabolic and psychosocial function.